Chicken, rice, mushrooms, bamboo shoots and vegetables with a sweet and tangy oriental sauce. A delicious and satisfying entree for two - eat is right out of the pouch on the trail! 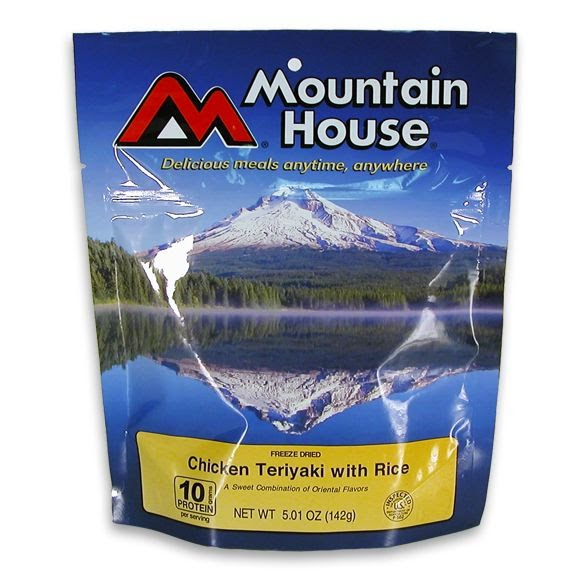 Mountain House Pouches - Pack light. Eat right. With our easy-to-prepare stand up, zipper pouch, it's never been easier to make a great tasting meal! Simply open, pour in boiling water, and zip. Chicken, rice, mushrooms, bamboo shoots and vegetables with a sweet and tangy oriental sauce. A delicious and satisfying entree for two - eat is right out of the pouch on the trail!